The creator of the revolutionary Fairchild Channel F has passed away. The engineer and inventor that pioneered the cartridge breakthrough for the videogame industry is unfortunately no longer with us. Jerry Lawson, the man behind the Fairchild Semiconductor Channel F videogame console which was released in 1976, has passed away at the age of 71. Before the CD, and eventually the DVD and Blu-ray discs games are pressed on today, cartridges were the format of choice for videogame consoles. Before the cartridge, home videogame consoles only played games that were built into them. 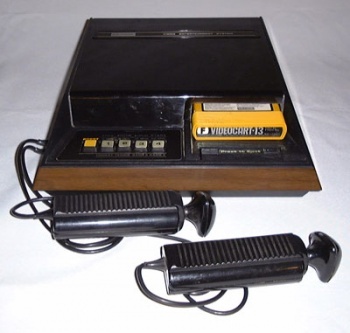 Lawson changed that with the Channel F.
The Channel F used programmable videogame cartridges, with a little over 2 dozen games released for the system. In a must-read 2009 interview, Lawson reveals how innovative that was. As the director of engineering and marketing for Fairchild's video game division, Lawson was considered a "renegade." The division didn't even know if cartridges would work properly on the mass scale of a consumer product. There was worry that they might "cause an explosion," Lawson said. With the help of his team, everything worked out just fine. The Channel F might not have the name recognition of other classic videogame consoles, but it's a significant member of the gaming pantheon. It helped to spur the cartridge-based videogame console business, which is the basic model still used today.